On Monday 14 January 2019, H.S.H. 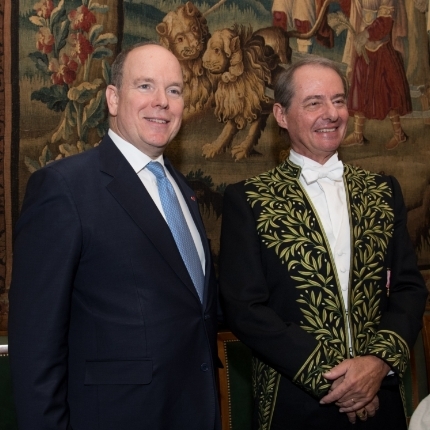 Prince Albert II travelled to the Institut de France in Paris to attend Mr Pierre-André Chiappori's election to the Académie des Sciences Morales et Politiques. 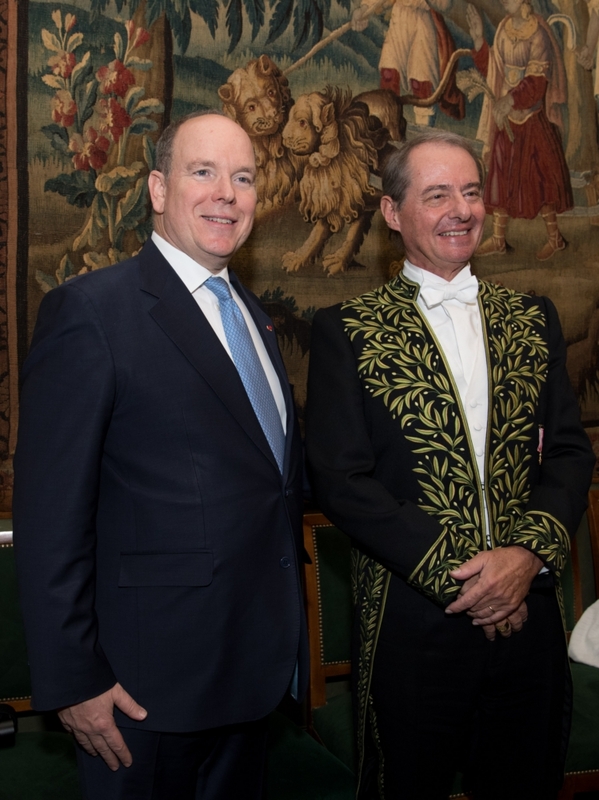 The Sovereign Prince presented him with his ceremonial sword before an audience composed of renowned academics, including Xavier Darcos, Hélène Carrère d'Encausse, Jean Tirole (Nobel Prize for Economics) and Denis Kessler, who gave Mr Chiappori’s election speech. Mr Pierre-André Chiappori is an alumnus of the École Normale Supérieure, holder of an agrégation in Mathematics and a Doctor of Economic Sciences. Over the course of his long and dazzling career, he has been the director of research at the CNRS, a lecturer at the Université de Paris I, the École Polytechnique, the École Nationale de la Statistique et de l'Administration Économique (ENSAE), the University of Chicago and the prestigious Columbia University in New York, where he is currently the ‘E. Rowan and Barbara Steinschneider’ Professor of Economics. Mr Chiappori's field of expertise is micro-economics. He specialises in contract theory, risk and insurance issues and economic analysis of the family unit. Mr Pierre-André Chiappori is the third Monaco-born member of the Institut de France, following in the footsteps of the sculptor François-Joseph Bosio (the Académie des Beaux-Arts in 1816) and Prince Albert I (foreign associate member of the Académie des Sciences in 1909).